Sometimes struggling coaches will tell you that it’s all about talent, that you can’t win without having great players. That’s true to an extent, but it’s always interesting how certain coaches can step in and make an immediate difference with the players that got the previous coach fired. 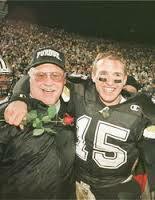 Joe Tiller was one of those coaches. He replaced Jim Colletto at Purdue and immediately brought about a winning season — and tradition — to a program that had managed just two winning seasons in the previous 18 years. His first team finished 9-3, including a win over nationally-ranked Notre Dame in the second game of the season, and a victory in the Alamo Bowl. He did it with an imaginative “basketball on grass” offense that ran contrary to Purdue’s traditional and conservative ways. Tiller became Purdue’s all-time winningest coach, with an 87-62 record, before stepping down in 2008. Like Indiana’s Bill Mallory, he’s become easier to appreciate in hindsight, as Purdue has failed to come close to matching his success. 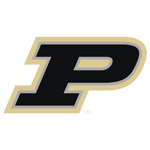 Tiller was hired at Purdue the same year Notre Dame hired Bob Davies and IU hired Cam Cameron. To many, it seemed Purdue had gotten the worst of the deals. Cameron and Davies were younger and figured to be better recruiters. Tiller was this bald, overweight guy who looked like the uncle who shows up for Thanksgiving dinner. Tiller, though, turned out to be the one of those three coaches who succeeded. Although old school in nature – he’s yet another coach who took root in Ohio – he was anything but conservative in his approach to offense. He made an all-Big Ten quarterback out of Billy Dicken, who had been moved to defensive back by Colletto, and he landed future pros Drew Brees and Kyle Orton. In his on-field farewell message to Purdue fans after beating IU in his last game, Tiller invited everyone to stop by his ranch home in Montana. A few people have actually taken him up on that offer. That says something about his approachable nature and basic decency. What says something about his coaching is that Tiller won like few before or after him at Purdue, and made it exciting in the process.